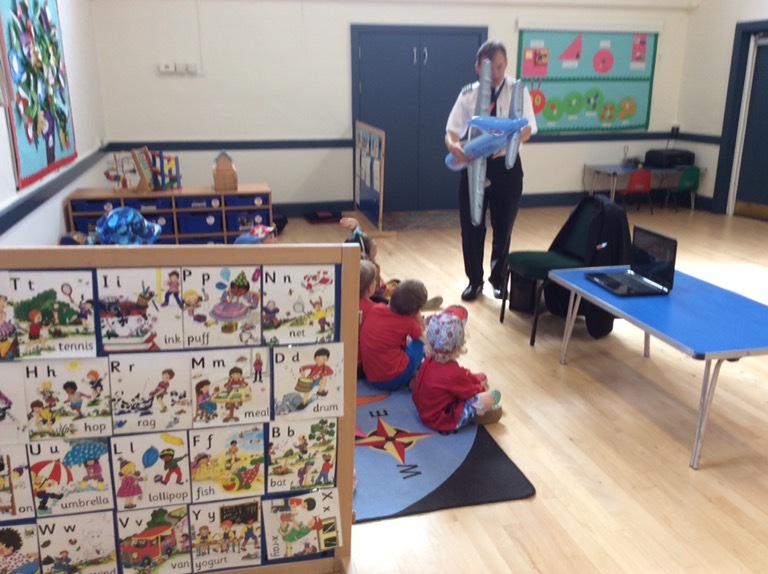 Yesterday we had an exciting visitor at preschool. 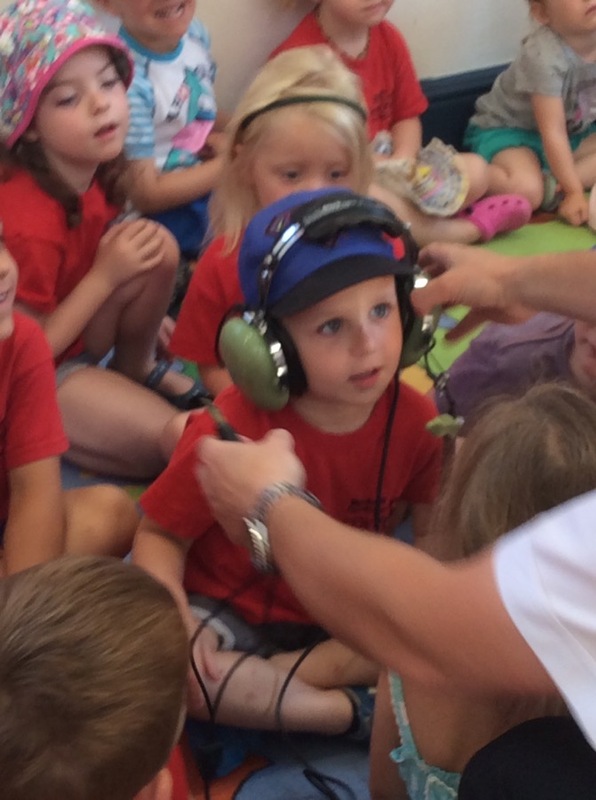 Duncan came to preschool to talk to us about being a Pilot. 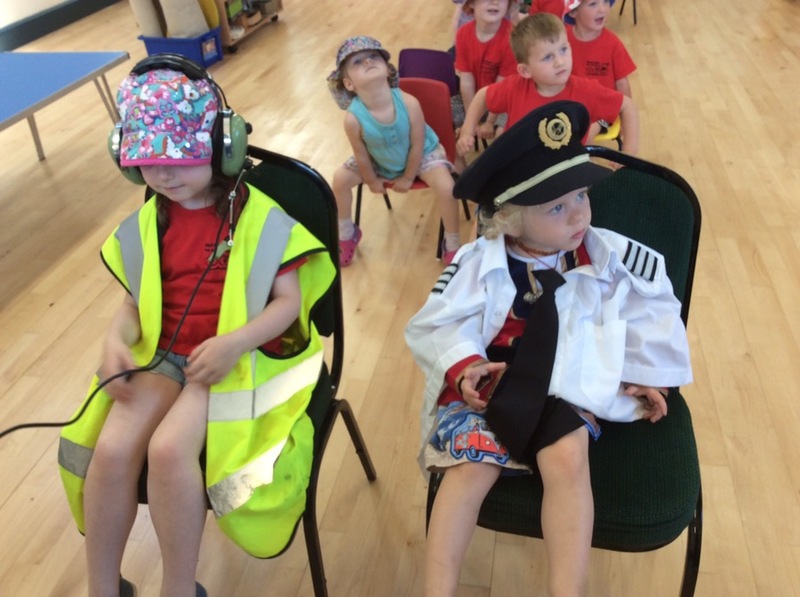 We could ask him any questions we had about being a pilot. 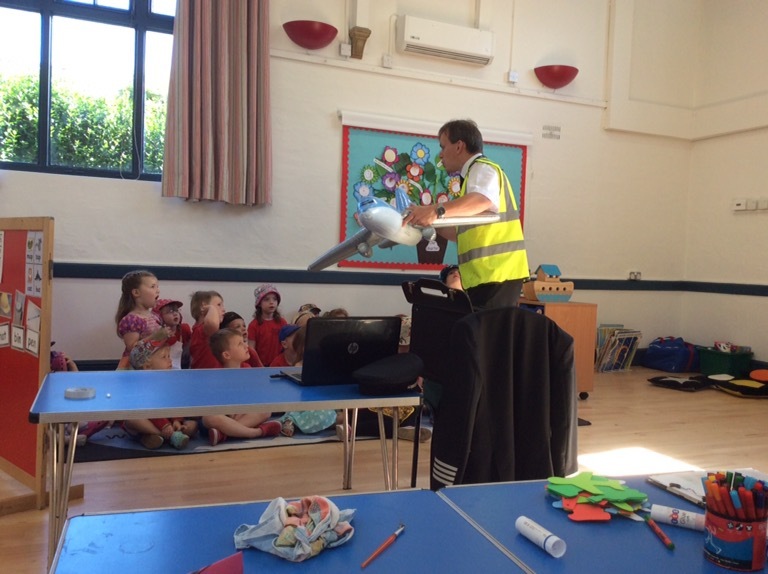 We found out about the different parts of an aeroplane. 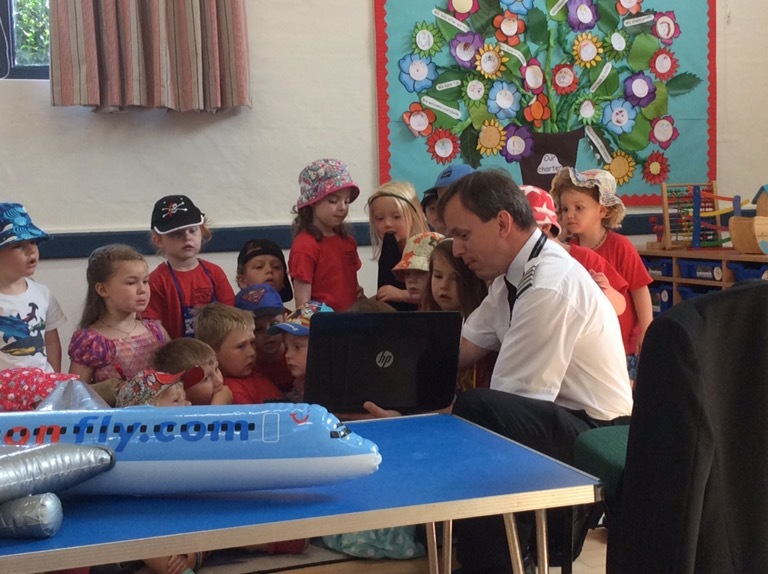 We learnt that the main body of the aeroplane is called the fuselage. The fin is found at the back of the aeroplane along with the elevators. 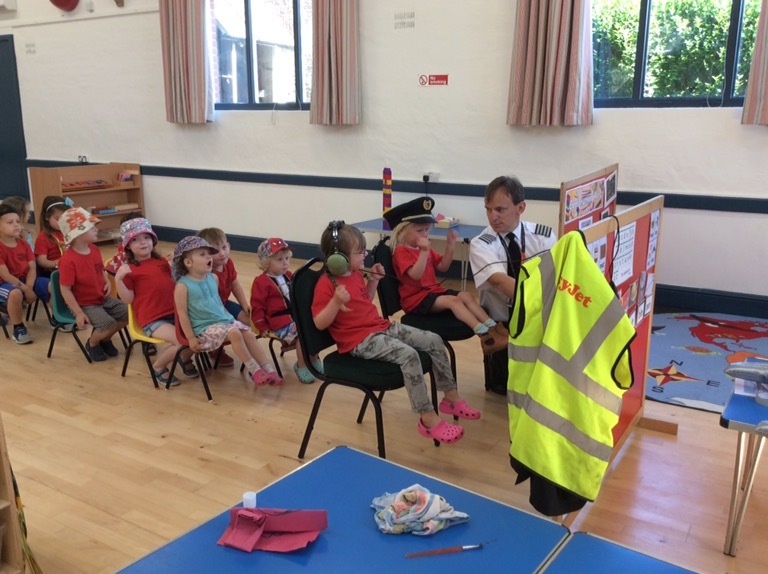 We also got to see what is in a pilot’s bag. 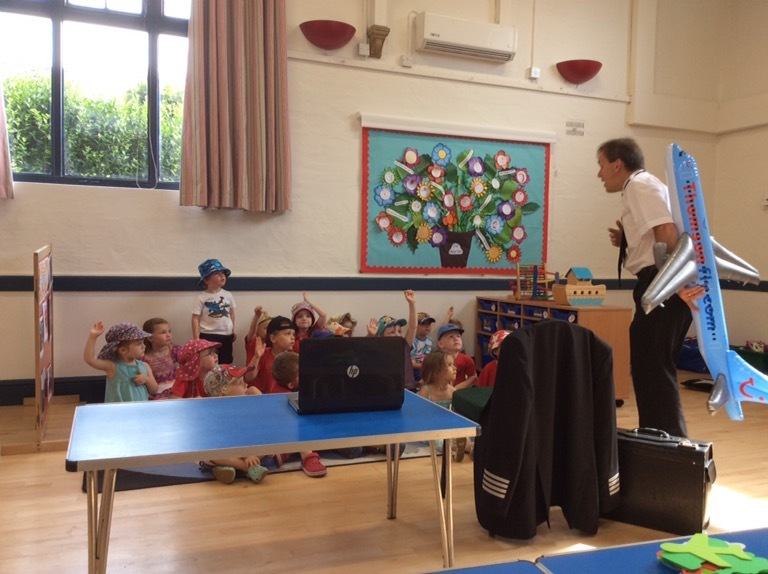 We looked at his pilots license and torch. 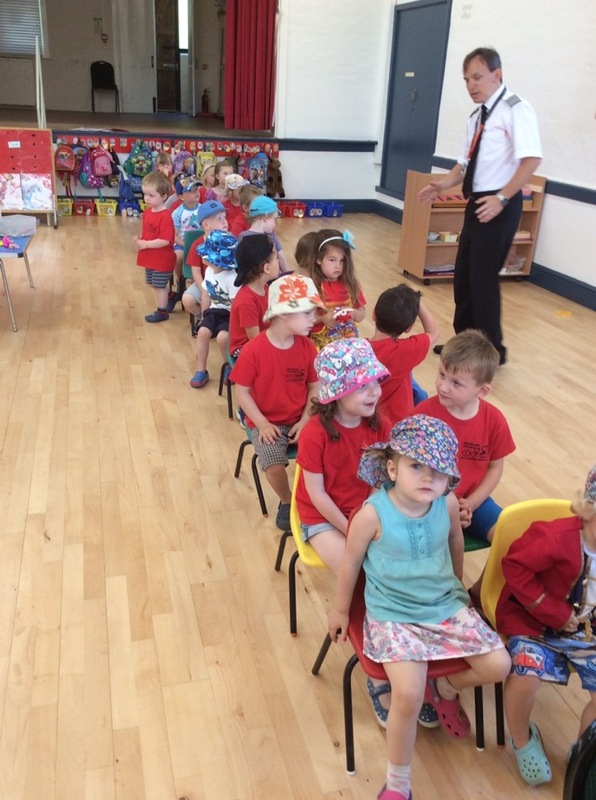 We created our own plane in the hall and the children could take it in turns to fly. 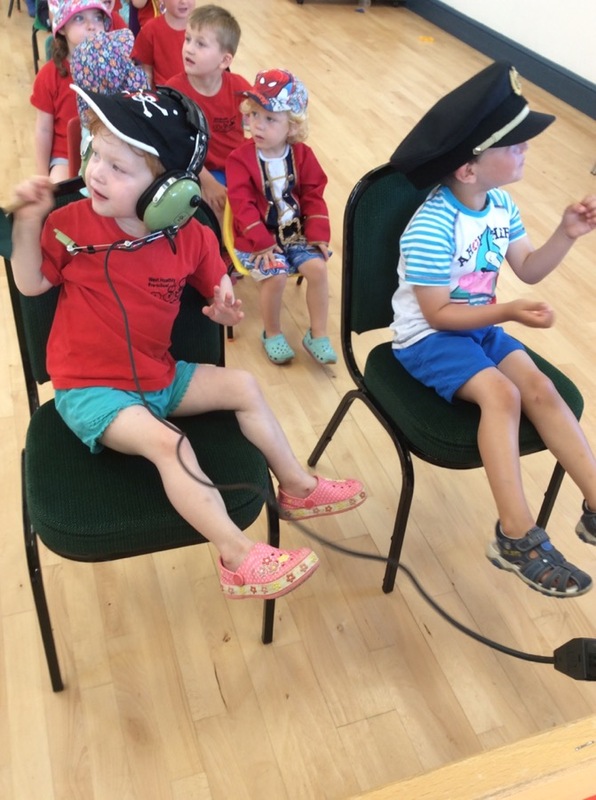 We could wear a pilots hat and also the headset. 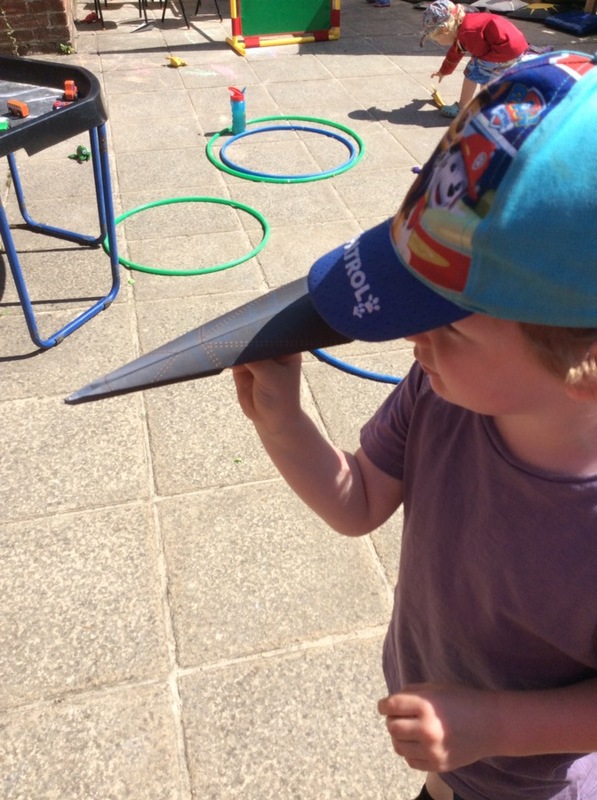 Afterwards we went outside and Duncan made paper aeroplanes and we flew them around the garden.